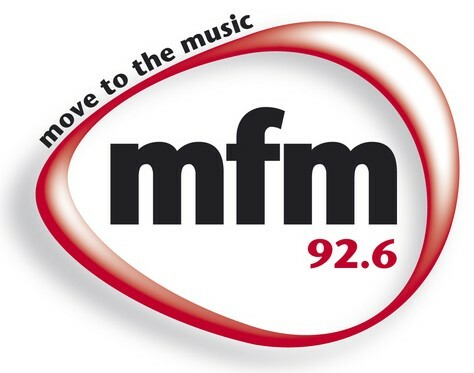 Jacaranda FM on air on frequency 94.2 is basically a commercial radio station broadcasting from South Africa. 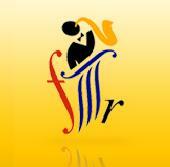 Here you can listen 34/7 hrs live online streaming. It also provides morning and afternoon drive time newscasts to the regional audience. 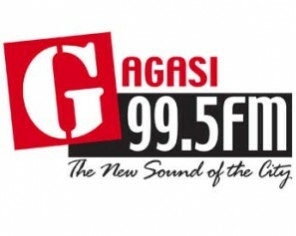 The station’s format is mainstream and Adult Contemporary. It broadcast the music shows with interactive and emotive features. 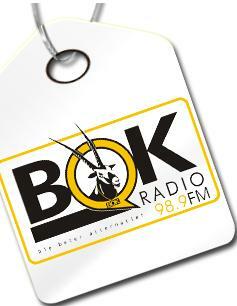 It broadcast its all transmission in English and Afrikaans language. 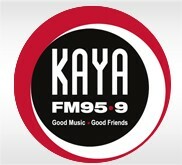 Press play button to start streaming audio of jacaranda fm 94.2.
i love jakaranda fm,keep up the good work. I would like to talk about the previous 220volt wall outlet and plug top. I design a new wall outlet that can replace the previous wall outlet. Many years ago when electricity arrives all over the world, it explode like a bomb. Since then all human start to use electricity and it took a long time before electricity reach every body. Today is it so that electricity is in such a way that every body can use it. Electricity is one of the most dangerous items a human can get and this is something that is not visible who can kill a human without a warning. With electricity, wall out-lets, adaptors, plug-tops two-pin adaptors are manufacture for the human to use. Since then, wall out-lets and its components are use by the human. As we know it, a wall out-lets have three insert holes and a plug-top have two or three pins. Since wall out-let and plug-tops are made, the basic principal inside these products stays the same, and is not made out of bakelite anymore but. Al new products are made today from plastic that can melt and is more dangerous than the previous products. Looks do change on these products on the out side, but the safety on these products never changes. No one ever look into the safety on the inside of a wall out-let and plug-top to get the best safety out of it. Through out the world, many people including qualified electricians are killed by wall out-let and plug-tops. Many buildings went up in flames dew to a faulty wall out-let and plug-top. A wall out-let and plug-top is a standard that the S A B S and the government set so that a wall out-let and plug-top cannot change. Over the years, governments spend millions on safety. Changes and facilities are made for the human to use like the crippled, elderly, infirm, and children. If it came to safety, governments will do any thing to change the danger factor. Many people around the world who are crippled do not have the facilities to help them to make there life easier. Crippled, elderly, infirm, and many children including women with long nails cannot use a wall out-let and plug-top. Take a crippled person; they definitely cannot use these products. How frustrated can it be if you cannot use the most common product on earth? Many people use these products before they become crippled. Me myself have a crippled women friend, she cannot insert or remove a plug-top from a wall out-let or an adaptor. She has to depend on her husband or young children to do it for her. If she is alone, what can she do? How many people are there who lost a child or relative dew to a wall out-let or a plug-top the use or work on, “many”. This is a number no one can count. Many qualified electricians are killed when they took a risk to replace a wall out-let under life conditions and where they cannot switch off the electricity for one or other reason. The same to none qualified electrician, who have no idea what they do, and to replace a wall out-let without any knowledge at all. Many buildings went up in flames due to a faulty wall out-let. No number can be count to say how many people are killed by wall out-lets. I was shocked by 220-volt electricity too when I try to replace a wall out-let, at that time I was a young boy age 12 and I thought I was an electrician as well. By a bad mistake I made, I was nearly a dead boy. My younger sister age 6 at that time safe my life. Till today I cannot say how she did it. I cannot thank her enough for what she did. Many years later in Witbank when I work in my workshop, my little girl age 8 came to me with a plug-top lid in her hand. I leave my lathe work at that time and went with her to her room to see what went wrong with the plug-top. When I get into her room, I saw the most dangerous open plug-top with out a lid on it with the switch still in an on position. I have to switch the main panel breaker off to remove the rest of the plug-top. There and then I look into something to make the wall socket and plug-top safe. I spend 8 years to design a new wall out-let and plug-top. Today I call it the wall safety out-let, adaptor and plug-top. I perfect the product to make it absolutely safe for the user and I look deeper into the product so that every body can use the product. Today, the product is so safe and good that every body can use it, including the crippled, elderly, infirm, and children. Even a two year old child can insert or remove the new plug-top from the new wall out-lets or adaptor with ease. I did make a prototype to see how it work and it do work excellent with all the safety present. When I show my friend who’s crippled. She was amaze to see the product, and she did use the product well without any interference. I wish you can see a face of a person who never uses this product before, and now they can. I feel so good at that time to know that my product is a success and it work extremely well. What can a product, like this do for many people who never use this product before? I talk to many people, especially the crippled, elderly, infirm and people who never use this product before. The people who never use this product before, is the person without hands, arms, who are in a wheelchair, people who can not use there body properly and this is basically every body who have a body defect. With the new wall out-let and plug-top, a person with out hands can use the new wall out-let with out any problems. The wall out-let and plug-top is especially design them to use. I spend many hours in front off the computer where I do the drawings over and over before the best results was found with the safety as it shoot be. Let’s look at the previous wall out-let, plug-top, and adaptors. All wall out-let and adaptors do have a safety clip that close the contact holes, but many of the safety clips brake or bend. If a safety clip brake, the contact holes are open and any steel object can be inserted into the contact holes, and that can cause a fatal injury or even death. Sometimes the safety clip bend, then the plug-top cannot be inserted to the contact holes; this is where force is used to force the plug-top into the contact holes. Many of the contact plates bend when the plug-top are continuously used, therefore a loose connection can occur where a plug-top or wall out-lets can explode, and that can bring a building down. If a person does not have a plug-top, they clean any electrical cable and insert the clean copper wire into the contact holes, and then they insert the plug-top so that the plug-top keep the wire in position. Even steel objects are used into the contact holes for connection. With the wall socket and adaptor, are there many dangerous points that are harmful for the user. The plug-top is also a dangerous item that kills the human. Plug-top lids are kept in place by one ore two screws. Some off these screws strip and the screw cannot keep the lid in position. This is where the lid are kept in position with any tape, even wire are used to keep a plug-top lid in position. The same to plug-top lid’s that is a clip-on lid, the clip brake and the lid came loose. Many off these clip-on lids came loose when the plug-top are remove from a tight wall out-let. If a plug-top are tight to a wall out-let or adaptor, people use any steel objects like a knife to remove the plug-top. Wall out-let, adaptors, and plug-top’s are not water proof. Water can enter into any of these products where a short can occur. I do design the new wall out-let, adaptor, and plug-top to give the user the ultimate safety they need, not for the money, but to safe a life and a building. Over the years, I collect many dangerous wall out-lets, adaptors, and plug-top’s that is fatal to the user and buildings. It is alarming to see how many of these products there is that already kill a person or a building that goes up in flames. Proof can be shown on these products, and the user will fright if they saw something like this that can happen to them. Proof can be shown on these products, and the user will fright if they saw something like this that can happen to them. 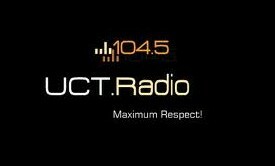 The best Radio Station in South Africa. You rock guys…all the way from London..
Hey guys,am getting you live and clear from kenya as we mourn the death of fellow kenyans.GOD BLESS KENYA. Halo good people!! Honestly speaking, I cannot work or study without a little bit of you 8os, 90s and Now. You are the best guys. So keep the excellent works running all the way. Everybody must do their utmost to save electricity, except government. All the lights in every single government building is on 24 hours a day, 7 days a week, 365 days a year. Considering how many government buildings there are in South Africa, it would equate an an astounding irresponsible use of electricity. No attempts are visible to show that government is actually considering this fact, let alone doing anything about it. It is about time that we hold government accountable for their electricity waste and demand that they contribute to South Africa’s sustainable electricity usage. It would be very interesting to find out what % electricity usage can be contributed to the Gov-24-365-Electricty-Abuse practice. Jacaranda the only station I can pick up via live streaming in the Saudi desert. Well done. 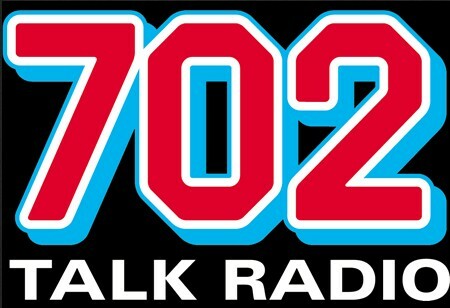 Dankie Jacaranda 94.2 puik radio stasie en musiek lekker om te luister hier in Australia..